Mumbai, April 18 (IANS) Tigmanshu Dhulia's new project "Bullet Raja" has an official action director Parvez Khan, who did the heart-in-the-mouth stunts in "Ra.One", "Vishwaroop" and "Agent Vinod". 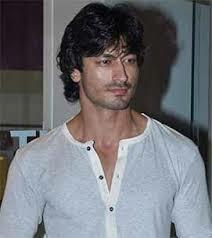 But new action-star Vidyut Jamwal will compose his own stunts for the film. Vidyut, who steps into a doughty cop's role, which was earlier to be played by Irrfan, will be making a very special appearance in the film. And the action-star will make his appearance as special as possible. "Vidyut would have two action sequences in 'Bullet Raja' and he'd be composing the stunts. We have the amazing Parvez bhai composing all the stunts for the film's leading man Saif Ali Khan," said Dhulia. "But Vidyut knows his body and mind better than anyone else. He has been training in the martial arts since the age of 12. Who better to know how his character would deal with the combative crisis in the plot?" he added. Vidyut's first fight would show him taking on dacoits in the Chambal Valley. "He enters the story at mid-point right after intermission. His character of the cop takes on the Chambal dacoits. The second fight sequence would be staged in the city of Lucknow. They'd be antithetical in ambience, mood and impact. "I leave it to Vidyut to design and execute these fights in such a way that he makes optimum impact," said Dhulia, who is currently shooting in Etawah city of Uttar Pradesh for "Bullet Raja". "I am having great fun shooting the film. I suspect the audience would enjoy themselves just as much," says Dhulia.